After 25 years Boyzone say goodbye with the release of their farewell album, ‘Thank You & Goodnight’. 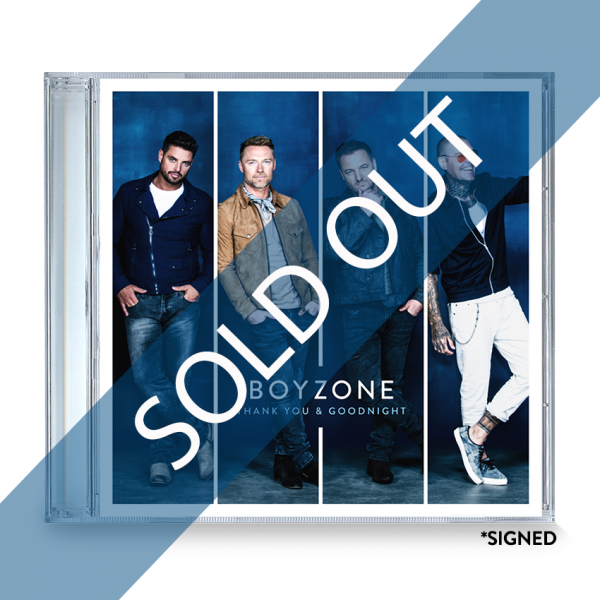 The album sees Boyzone collaborate with special guest songwriters Ed Sheeran (‘Because’) and Gary Barlow (‘Love’). Also featuring ‘I Can Dream’ a special tribute to Stephen Gatley.